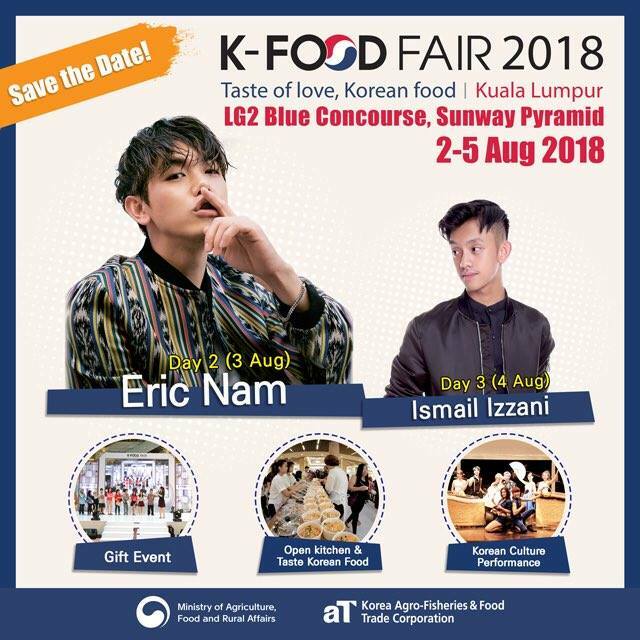 Home / eric nam / food / foodie / kpop / malaymail / music / news / Catch Eric Nam at Sunway Pyramid’s K-Food Fair 2018! Catch Eric Nam at Sunway Pyramid’s K-Food Fair 2018! If you love anything Korean, you’ll love K-Food Fair 2018. 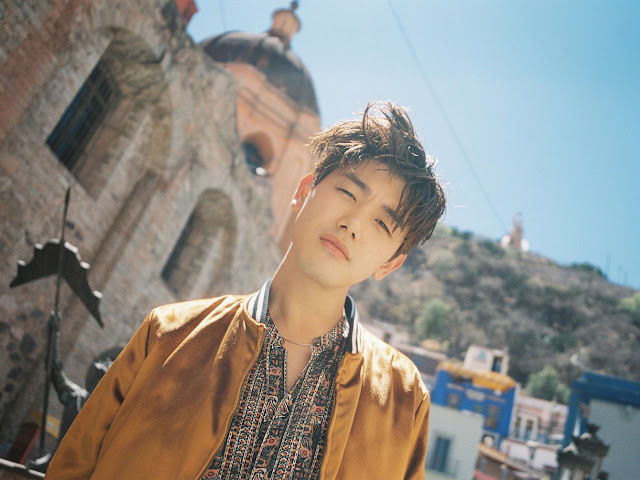 You’ll not only get mouth-watering Korean delicacies at the fair but also see Korean-American singer Eric Nam in person! That’s right, Eric Nam is making his way to Malaysia once again, having previously visited places such as Kuala Lumpur and Penang. The singer is set to appear on the second day of the fair, so fans get ready to meet your oppa at the shopping mall on 3 August! Aside from Eric’s appearance, other activities at the fair include Korean culture performances, gift event, open kitchen and Korean food test, and appearance by local artist Ismail Izzani on Day 3 (4 August). Save the date to catch Eric Nam in person this August! This is an unprecedented article, Given such a great deal of information in itI just stumbled upon your blog and wanted to say that I have really enjoyed reading your blog posts.